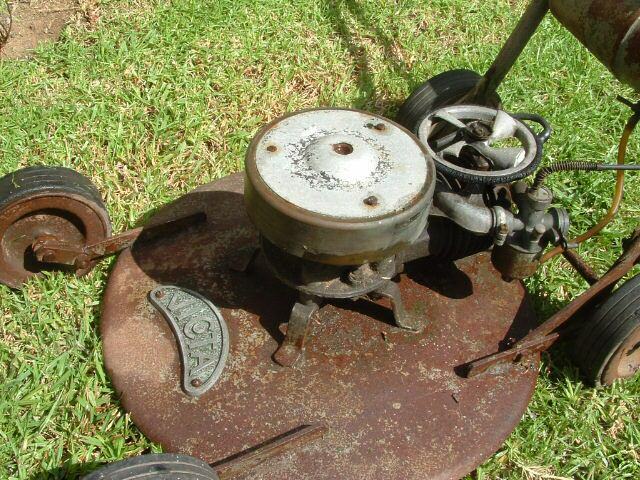 One of the most desired Victa mowers for the collectors. 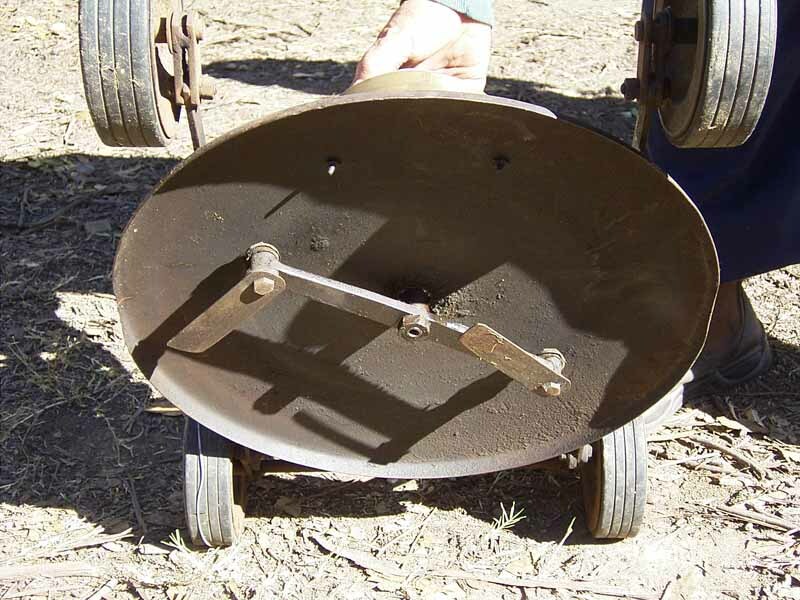 The engine was supported by legs connected to the base plate, same as the Billy Cart. 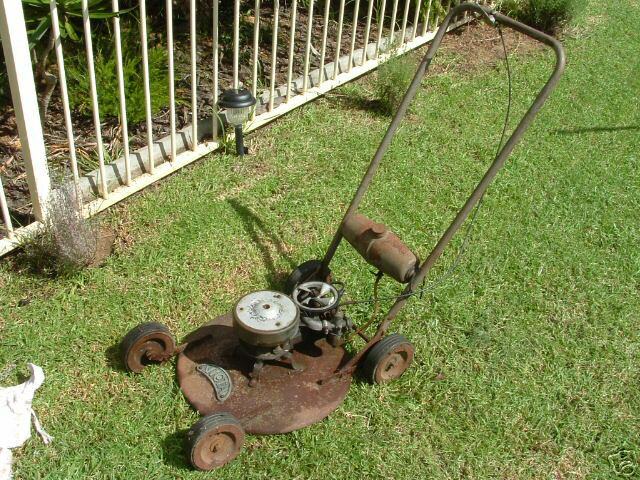 It had the Villiers Mark2 midget, 2 stroke engine. Tin wheels which were slightly recessed, and rubber tyres. Villiers throttle lever and air cleaner, and Clingcast pulley. 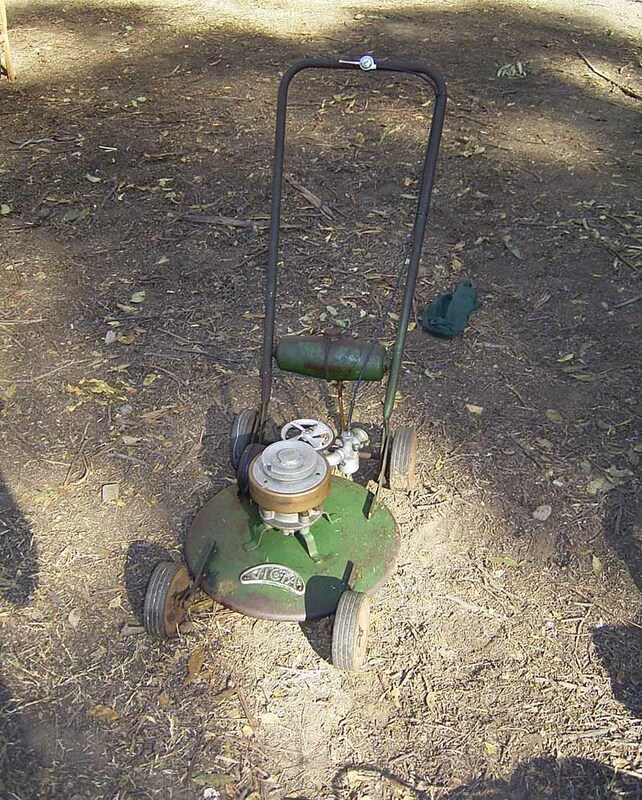 A fan was incorporated to help cool the engine block, hense the nick name "Fan Mower". A metal arm with 2 blades attached to it for cutting.